Can I buy my home with Bitcoin? There is a growing trend of homebuyers using Bitcoin to complete their transaction. This trend could seep further into the real estate industry and disintermediate traditional processes within the real estate transaction. Cryptocurrencies that use ‘smart contracts’ are poised to replace the escrow closing process. You’re an experienced realtor. You’re accustomed to fighting through the grueling struggles of initiating multi-faceted marketing plans, generating interest, converting leads, and generally trudging through the thick mud of paper and hustle that blend together to compose the battlefield of the real estate industry. You laugh looking back at how your first listing presentation made you nervous, and you’ve since rewired your brain into an AI database of market analysis and agent scripts you can recall and recite to effectively and efficiently acquire clients, work with other agents, and move the purchase along at any and every stage of the home buying process. You say your dialogue with the buyer so natural and automatic you hardly have to think to extract it from your vast storage of real estate knowledge. “Can we make our home purchase using Bitcoin?” They respond. Would your answer to that question be a blank stare? It might seem like this would be outside the realm of reality, but believe it or not, home purchases with Cryptocurrencies have already happened, and they’re becoming more and more popular. At the beginning of 2017, a buyer in Southern California used 3,300 Bitcoins to buy a Cape Cod-style mansion in Manhattan Beach for $3.225 million. Later, a Miami condo reportedly sold for 17.7 bitcoin. The trend of home purchases using cryptocurrency has been increasing steadily ever since. On Redfin, the number of listings that accepted cryptocurrency jumped from 75 in December to 134 in mid-January. You’ve probably heard of this trend somewhere along the way, but if your hope was that it is a fad that will fizzle out and there’s no real need to read up on the subject since it will have no relevance in your day to day real-estate-selling-life, you may want to reevaluate. 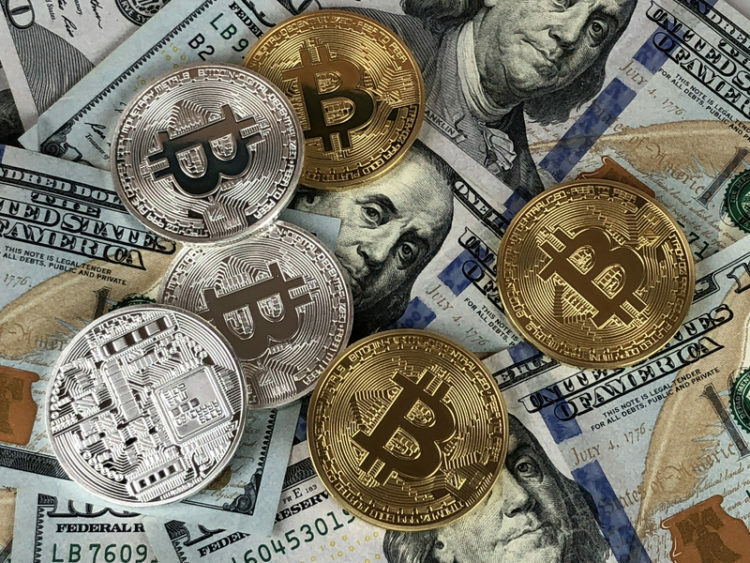 The volatility of cryptocurrency and recent drop in prices alludes to its eventual demise, but this is likely a temporary lull, and a resurgence of cryptocurrency in the future, particularly in the real estate industry, is highly probable. The driving force behind the initial meteoric rise of bitcoin was excitement over the possibilities. At its core, the price of any cryptocurrency to date has been a product of hype rather than application, as demonstrated by the strong correlation between bitcoin rates and the volume of google searches for bitcoin, which stands at a whopping 91%. So why is there any reason to believe a resurgence will be made, and cryptocurrency will become relevant in the real estate industry? Because of the third-party circumventing nature of cryptocurrency and considering how often money exchanges between and through third parties in real estate transactions, the real estate industry is a prime target for Crypto Entrepreneurs, making the rate-stabilizing shift from excitement to application all but imminent. Consider, for example, how one of the more mainstream Cryptocurrencies, Ethereum, functions. In the interest of keeping this article comprehensible, I won’t get too much in the innerworkings of blockchain. All you really need to know to understand why Ethereum is poised to rattle the real estate industry is one subtle difference that sets it apart from Bitcoin. Ethereum aims to abstract away bitcoin’s design so that developers can create applications or agreements that have additional steps, new rules of ownership, alternative transaction formats or different ways to transfer state. The goal of Ethereum’s ‘Turing-complete’ programming language is to allow developers to write more programs in which blockchain transactions could govern and automate specific outcomes. Put simply, Ethereum utilizes what are referred to as “smart contracts,” under which developers can preemptively program individual steps into agreements that can be automatically executed contingent upon a certain occurrence or action. One of the proposed functions of this application is the transfer of ‘Ether’ from one account to another once a task or set of tasks predetermined in the contract have been completed. Now consider this application as it compares to the role of Escrow companies in a real estate transaction. An escrow is a deposit of funds, a deed or other instrument by one party for the delivery to another party upon completion of a specific condition or event. It is an independent neutral account by which the interests of all parties to the transaction are protected. Since these responsibilities can all be easily shifted from human operated Escrow companies to Ethereum smart contracts, which makes more sense to entrust the execution of your transaction? Smart contracts would not only execute all transfers at the moment of task completion, whereas traditional Escrow companies are subject to human response time, but smart contracts have no need for a salaried staff to function. This demonstrates just one of the more readily available opportunities for Cryptocurrency to rear its head in the real estate industry. As more Cryptocurrencies with more abstractions and functions enter the market, and more applications and innovations for each are implemented, who knows what the real estate world of the future could look like!